There are multiple places where the audio skips, sometimes just missing a few seconds but then at least in one place a whole section seems to be missing. Content is good though and still worth listening to. I hope the audio problems are resolved though. Excellent writing and an incredible performance. Well worth a listen. I was pulled in from start to finish. Wow. I look forward to listening again. Narration by the author is magnificent. Highly recommend. 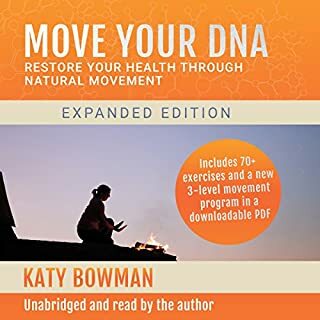 Move Your DNA explains the science behind our need for natural movement - right down to the cellular level. It examines the differences between the movements in a typical hunter-gatherer's life and the movements in our own. It shows the many problems with using exercise like movement vitamins instead of addressing the deeper issue of a poor movement diet. 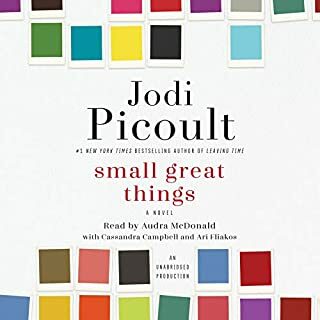 Great book and I loved listening to it so I could move as I was listening. I only wish there were even more photos/diagrams of all of the exercises/stretches/movements Katy verbally describes. The ones that are in the PDF were really helpful -- I just wanted more of them. An excellent, gripping, thought-provoking novel. 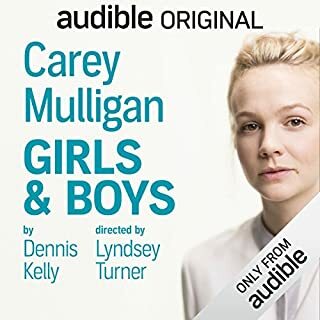 Highly recommend listening to this on audible. The trio of narrators do a beautiful job in reading the novel. I had many "driveway moments" with this one. 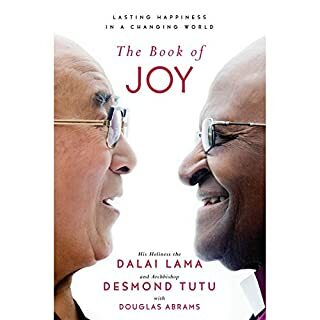 This was delightful to listen to as an audiobook. It took me a chapter or two to get used to the multiple voices but after that it was lovely to hear each part read in the "voice" of each person. It was a pleasure to sit in on these conversations between two elders I admire. Well worth reading or listening to. 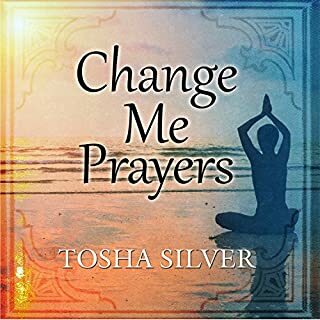 In this sequel to Outrageous Openness, Tosha Silver, with her characteristic mix of passion and humor, shows listeners how to embrace transformation from the inside out. Covering a variety of topics - from work and finances to love and self-worth, Change Me Prayers explains how to truly surrender to a divine plan in the most joyous and uplifting way. I'd recommend listening to the sample audio and considering whether you can/want to listen to that for several hours. 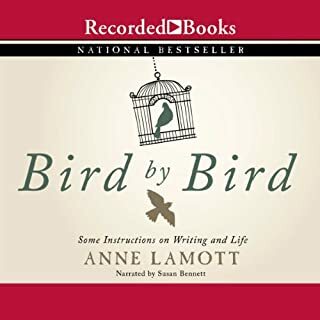 The content was quite good and I did enjoy much of it, but the narration was very difficult for me to listen to and I almost didn't finish the book because of it. I was looking for something to help with my writing and while this was suggested to me many times, it's really just about the author herself. There was one 5-10 minute section early on that was helpful for remembering stories, and I kept waiting for more nuggets to be woven in but that was it. After 2 hours I gave up. If you're looking for a personal narrative, this could be a great book for you. If you're actually looking for help with your writing, I'd skip it. Helpful, enjoyable and a quick listen! What about Emily Woo Zeller’s performance did you like? Emily Woo Zeller's performance was fantastic! I really enjoyed her narration of the book and would happily listen to her again. She did a wonderful job. I'm not one to have a lot clutter or "extra" things in my home anyway, so even when I heard about this book from friends, I didn't think it was something for me. I'm glad I ended up listening to it anyway. 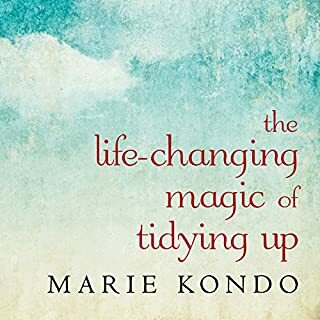 I love Marie Kondo's method and philosophy and love the shift she provides that we focus on surrounding ourselves with things that spark joy. It sounds incredibly simple, and yet when you actually consider the possibility of your home only containing things that spark joy, it's dramatically different from the norm. I tend to purge frequently and don't buy a lot of things unless I particularly need them, so I didn't think I'd learn much, but her approach is very new to me and really spoke to me. In starting the process of tidying up with her method, I've also learned a lot about myself. 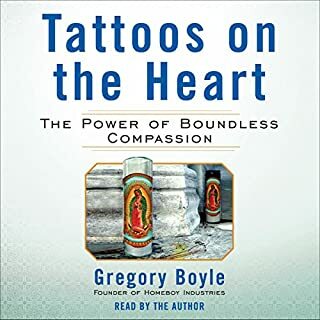 And because this audiobook is so short and absolutely easy to listen to in a single day or over the course of a week if you listen to it in little bursts. Highly highly highly recommend this book, even just to help you shift how you think about your space and your home. Well worth a few hours of your time and more. 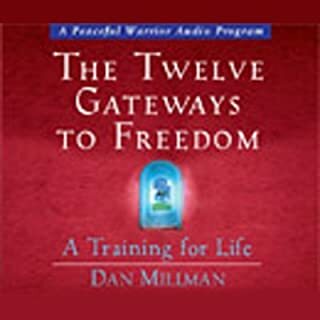 This audiobook is about changing every aspect of your life - from the way you work to the way you relate to friends, family, and community. 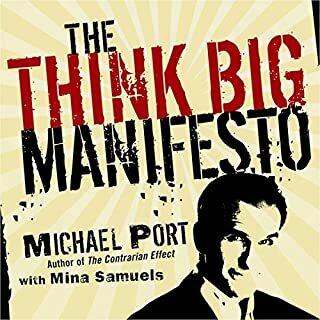 With real examples that inspire and inform, The Think Big Manifesto isn't only about thinking big in your career, but about your very place in the world. Are you ready to lead the change you wish to see in the world? Your Think Big revolution starts right here, right now - with you. What was most disappointing about Michael Port and Mina Samuels ’s story? I wanted to like this book but just felt he was wasting my time. The message could have easily been portrayed in a couple of minutes and would have actually been more effective that way. It was frustratingly redundant and despite maintaining hope until the end that it would get better, it didn't.